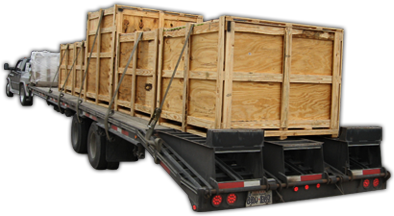 We are located on the west side of Houston, Texas and are manufacturers of Wooden Shipping Crates and Skids for various industries in the Houston area. 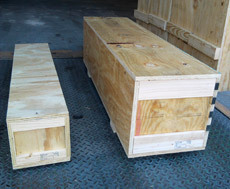 Since 2001, we have produced high quality crates that are economically priced. We have a well equipped manufacturing facility with an experienced staff to produce your products and meet your delivery requirements. 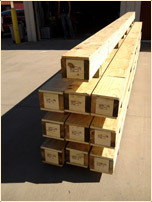 AMEDA Services LLC, is certified to produce Certified Heat Treated (HT) Export Shipping Crates per ISPM-15 compliance. Our wood packaging complies with the Heat Treatment requirements pertaining to the International Standards for Phytosanitary Measures of Guidelines for Regulating Wood Packaging Material in International Trade (ISPM-15). Through a strict quality control program that is compliant with the American Lumber Standards Committee, each crate/skid that we produce that will export your product will have a Special Stamp that certifies each unit of wood packaging material is ISPM-15 compliant. Ameda Services © 2019 All Rights Reserved.